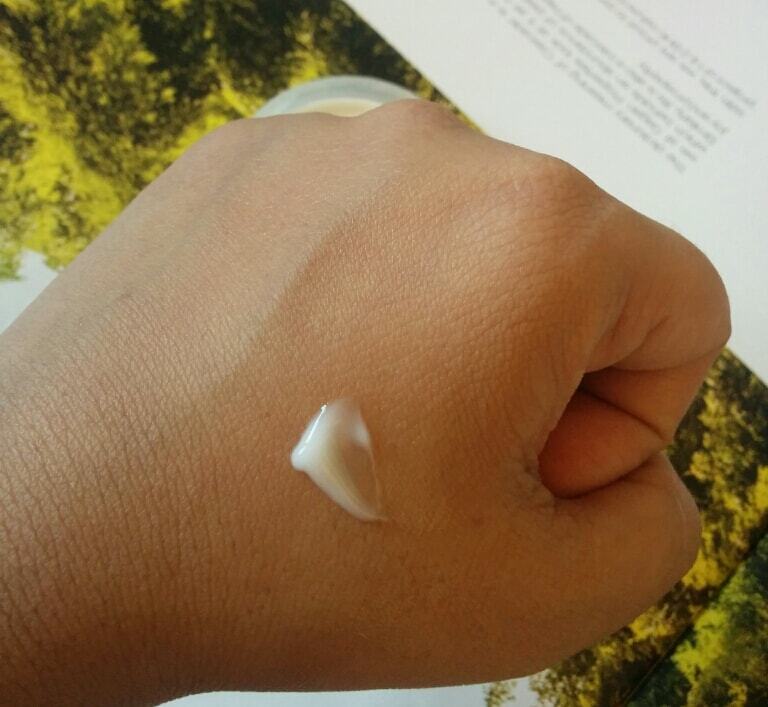 I am very skeptical when it comes to using a moisturizer. When I shopped from Aplava.com, one of the products I ordered was out of stock and I replaced that with Natural Bath and Body Vitamin E Whipped cream. At first I thought it's a body butter and later on I got to know it's a face cream (call me dumb). But today as I write this review, I am very happy that the product was replaced and I received this product. Read on to know why am happy with this replacement!!! 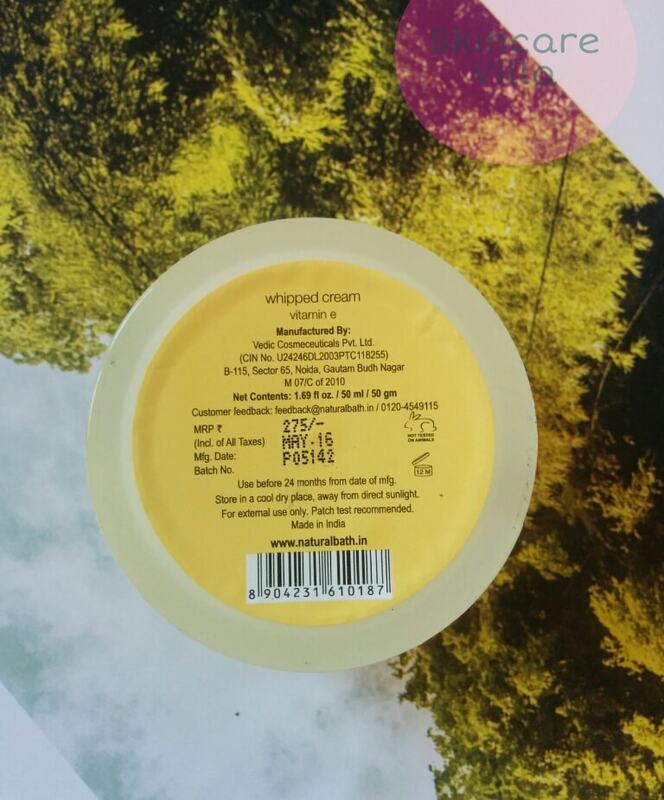 Brand claims Our whipped cream is a decadent indulgence, especially for oily and sensitive skin. It has been vigorously whisked to give it a luscious, fluffy texture that gets absorbed instantly. 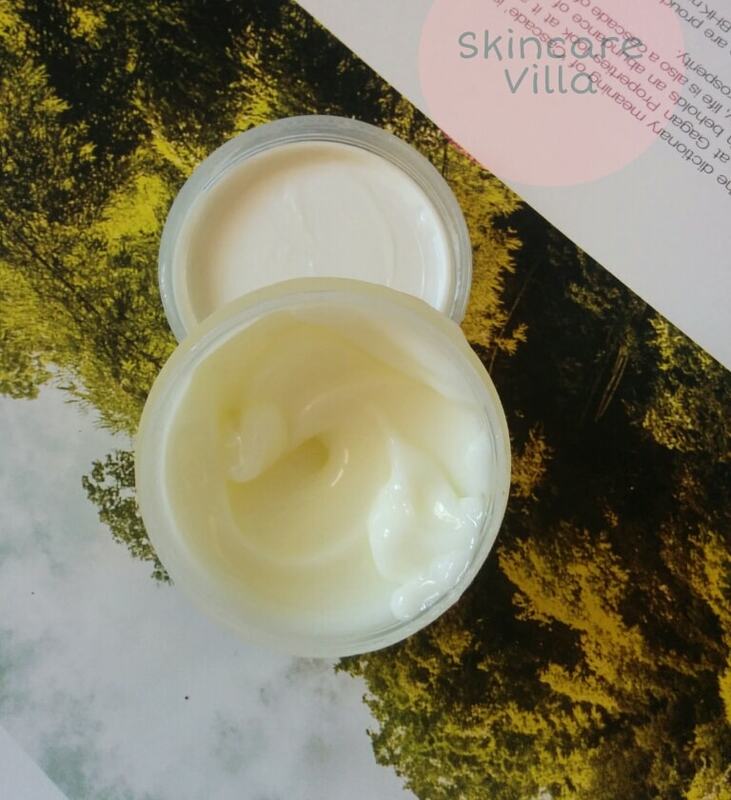 Loaded with Vitamin E and the charmed potion of Virgin Coconut, Sweet Almond, Argan and Avocado Oils, this ultra-light cream completely nourishes, softens and tones the skin. 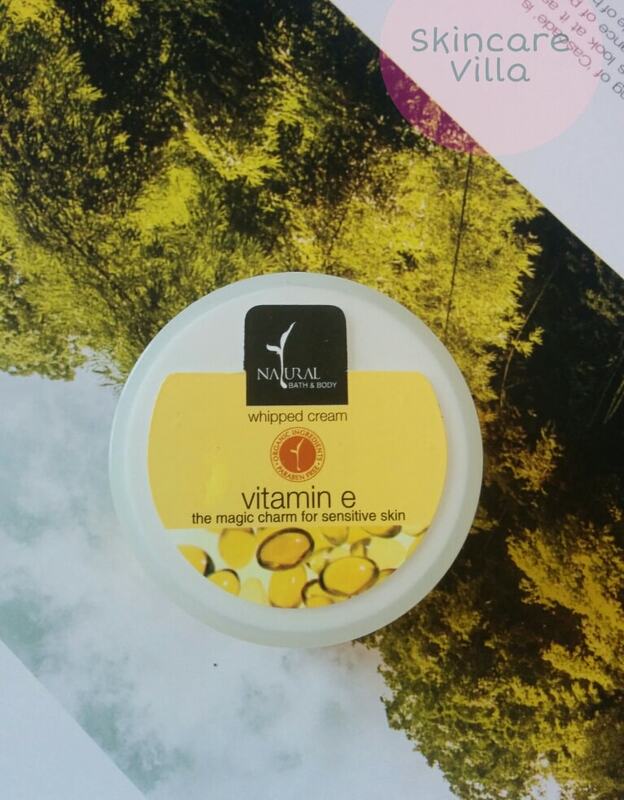 The high concentration of the antioxidant Vitamin E in this whip makes it an ideal protective and restorative cream for delicate skin. Key Ingredients Purified Water, Propanediol, Isoproyl Myristate, Virgin Coconut Oil, Sweet Almond Oil, Organic Vegatable Glycerine, Heptyl Undecylenate, Polysorbate 20, Arginine, Argan Oil, Panthenol, Sodium Benzoate, Potassium Sorbate, Allantoin, Biosodium Hyaluronate, Vitamin E, Green Tea Extract. 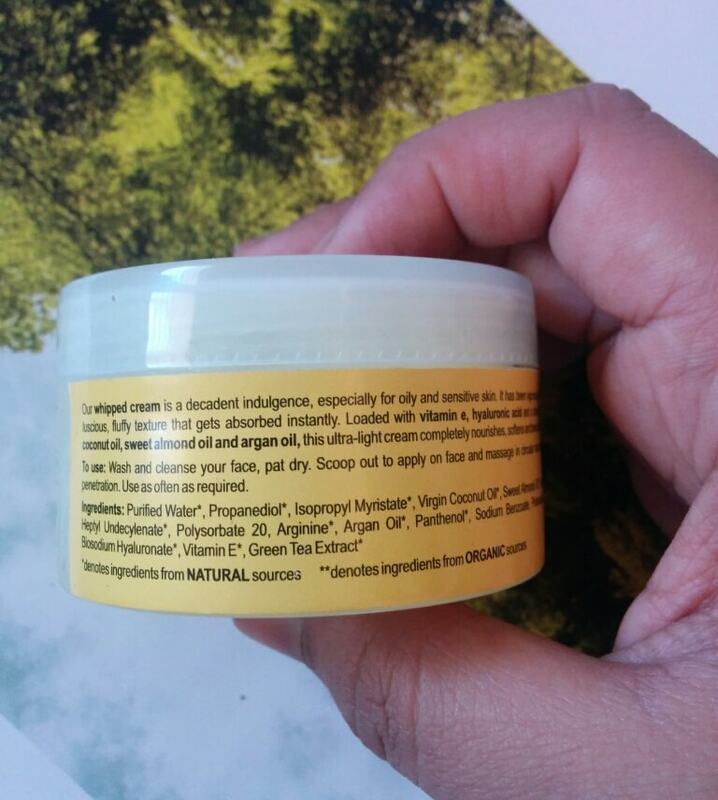 As you can see in the pictures, the product is housed in a plastic, opaque tub packaging. It has an inner lid with a screw top upper lid. Somehow the inner lid is a bit tacky and keeps on sticking to the cream, sometimes sticks to the upper lid and as you open up it falls down immediately... Would have loved a tube packaging, but most creams are packaged in tub, so will have to make up with this. Now coming to the fragrance, it has a very citrusy fragrance more like a fresh orange skin. Once you apply the fragrance fades away after some time. The consistency of the cream is gel sort with pale white colour. It is lightweight and runny. The cream is easy to apply and gets absorbed easily in the skin. While applying sometimes I get a itching sensation. It does give away after the cream is full absorbed in the skin. The directions for usage state to massage the cream, however when I did the same it gave me a burning sensation and now I just let the cream get absorbed by my skin. Coming to the effects and benefits, the cream gives a soft, supple skin immediately after application. It doesn't give an oily look or greasy feeling at all. The cream helps in giving an even toned skin and helps cure dry patches too. Overall this cream is a good (rather great) got oily to combination skin due to its lightweight formula. Dry skinned beauties may not find this a good cream due to its light weight formula. Price, shelf life - 275 INR for 50 ml with a shelf life of 2 years. Tell me your thoughts in comments section.